Students studying a Media/Communications degree are reminded applications for the Semester 1 internship program with award-winning PR and Digital Agency Adoni Media close in a fortnight. 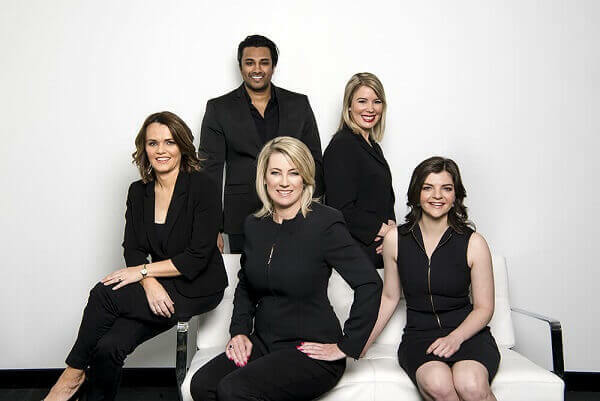 Adoni Media is the Brisbane agency established by Logie-nominated journalist Leisa Goddard who has more than 25 years’ experience working for all three commercial television networks, including years as a foreign correspondent and war reporter. The three-month internship program is open to Public Relations, Media and Communications students, and provides practical experience along with an opportunity to begin building a network of industry contacts. “I’ve always had good role models and mentors throughout my career so now I try to be that for my interns,” Ms Goddard said. “I started as a ‘work experience girl’ at a local newspaper, so I know firsthand how valuable it is to get your foot in the door. In the world of media, we always look for those with the confidence and drive to get out there and do internships as experience is key. QUT student Lucy Coogan interned with Adoni Media last semester and was able to put into practice the skills learnt in her Bachelor of Business (Public Relations) and Bachelor of Laws degree. “I am beyond grateful to have had this opportunity while still studying and can’t wait to take the lessons I’ve learned at Adoni Media out into the professional world,” she said. Following her internship, Lucy referred fellow QUT Communications student Nicola Brittain for the three-month program. Those wishing to apply for the internship should email their cover letter and resume to [email protected]. Applications close 1 February 2019.